In this edition of the Baekdal Plus newsletter, we are going to talk about the 'unlimited access' models that are so often promoted by new media startups. I'm also going to show you how I implemented GDPR, and then have a discussion about bots and analytics. Almost every time a new media startup is formed, it is based on the same flawed business model of offering people everything for one simple price. It sounds like something that might work, but all it does is to raise the cost, which causes a severe drop in profit margins. But let me illustrate why this model is such a big problem by comparing it to something that isn't digital. Imagine that you have a grocery store, and you do a study of your customers where you find that the vast majority spend about $280 per month on groceries. You also discover that no amount of discounts, inventory changes, or other offers seem to change this when you look at it over time. People seem to be fixed on this $280 limit. This is a bit of a problem. How do you grow as a business if you can't get people to spend more money? So, the grocery store gets this really cool idea. 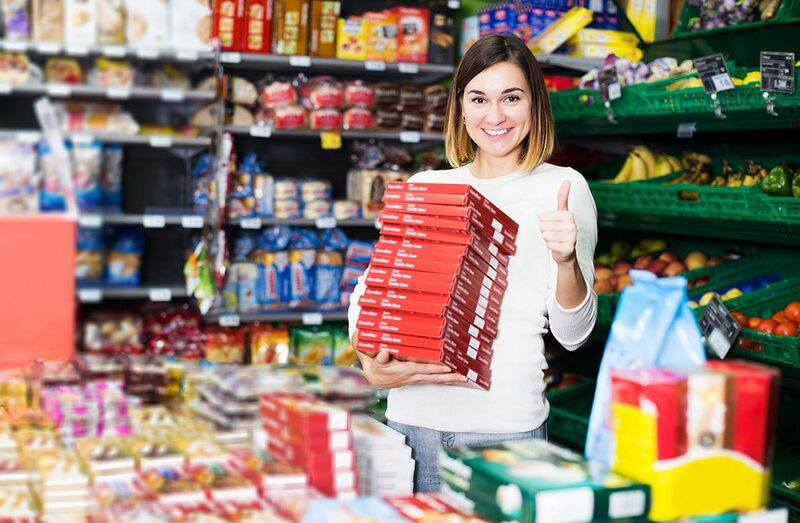 They say that, since you are not paying more anyway, why not just offer you all the groceries in the form of an 'all items' subscription ... called "Groceries Prime"
For $279/month, you can come into the store and just pick out how many items you want. There is no limit, no restrictions. Just get whatever you want and pay this one simple price per month. Isn't that a cool idea? Well from the customers' perspective, it's a brilliant idea. Because suddenly you don't have to think about what to buy. Just grab whatever products take your fancy. When you walk through the store and you want to buy bread, before you only chose a slightly cheaper loaf, but now you can pick four different types of fancy bread. And, when you are walking through the candy section, before you might only get one bar of chocolate, but now you just pick five. Suddenly it no longer matters how much you pick, because the price is always $279/month. The grocery store loves it! The grocery store loves it too, because they were really smart about this. First of all, by offering people this 'all items' subscription model, even though the revenue per person is the same, they are attracting a much bigger customer base. People who used to buy in other stores are suddenly now only going to this store. And with this growth, they very quickly gain a market dominating position. Also, before they launched this new model, they went out to all the big manufacturers and told them about this study they did, which showed that it isn't possible to get people to pay more. So instead of paying the manufacturers 'per item', they are now going to do a 'revenue share'. The promise is that, with a larger customer base, the revenue share will end up being a positive for manufacturers. The manufacturers are royally screwed. At first this sounded like a cool new and innovative idea, and being a part of it made them sound trendy and modern but it has quickly turned into a nightmare for two reasons. The first reason is that the revenue didn't change, because the overall market value didn't change. While it's true that this one grocery store is now making a lot more money than before, they are only doing so because they are taking it away from other stores. So, while manufacturers are making more revenue from one store, it's also going away from all the other stores. And since people don't pay any more than before, the total revenue didn't change. There is no positive here. But what is also happening is that the cost has exploded. Imagine that you are a chocolate bar manufacturer. Before you would only sell one chocolate bar per person, but now, with this 'all item' subscription, people are picking up five of them... for the same price. This means that your revenue is the same as before, but your cost is now 500% higher. What's worse is that it's now much more expensive to really stand out. Before, a quick and easy way to stand out was to compete on price, but now you can't do that. Now, if you want to really stand out, you have to produce a product that is much, much better ... which again means it's more expensive. After a while, things start to break down. The extra cost is seriously damaging the profit margins for the manufacturers, and their other 'high-margin' markets are all dramatically in decline. To fix this, all the manufacturers start focusing on cost-cutting. Instead of creating good products, they now focus on producing 'good enough' products at scale, because this is the only way you can keep the cost low enough while continuing to get a somewhat large share of the overall revenue. In other words, we are in a race to the bottom. At the same time, the customers, who are now so used to picking whatever they want, no longer have a culture of choosing what to buy. This means that we are seeing a dramatic loss of brand loyalty, which means that it's even harder to stand out. On top of this, we have a number of collateral problems. For instance, food waste has gone insane. Food waste was always a problem, but it was somewhat limited by people having to choose a limited number of items. But now that people can just pick whatever, they don't really care that most of the food they get is never eaten. Mind you, the grocery store still loves this idea. They are making tons of money, which they are reinvesting in even more 'customer friendly' features... like free shipping, or staff-picked meal plans. Then, whenever someone complains about the dropping quality, they just point their fingers at the manufacturers. The grocery store point out that it has paid out several billions of dollars in revenue share, and they are paying out more and more each year, so it's the manufacturers' fault that they don't keep up their quality. And just like that, we have completely ruined a once healthy (but not very exciting) market. As you can probably tell, this story isn't about grocery stores and manufacturers. It's about tech startups and media companies, because this is exactly the pattern we see every day. It's easy to point fingers at big companies like Facebook, and they are certainly doing this too, but my main focus here is to talk about many of the new media startups. I very often see media startups go and do this exact thing. They say that people aren't willing to pay more for media. They are not going to subscribe to 100 different magazines and newspapers, so why not create this 'all access' model where for a relatively low price (often way too low compared to what you get in return), people can just read anything they want from anywhere. At first, this sounds like a good idea, because publishers are desperate for new revenue streams. But, as soon as you do this, you end up with all the same problems. This model just doesn't work. It dramatically damages your reader loyalty. It makes it a lot harder to stand out, in a market where it is already hard to stand out. It prevents any real innovation because you have to 'fit into the model' and do what everyone else is doing, and it dramatically increases your costs if you want to be the one who gets the largest cut of the revenue share. The generalized unlimited-access model is the worst thing you can do. The solution is to find ways to create limited-access models, where you become a specific choice within a specific focus. It's true that people aren't going to spend more on media, and it's also true that people aren't going to subscribe to 100s of publications. But that doesn't change the fact that the solution is to be one of the few that people do pick. So, the next time you see a new media startup that tells you they have this cool new idea of offering people everything from anywhere for one simple price, for which you will then get a cut of the revenue share ... tell them to go away, and only come back when they have come up with a model that actually works. Specifically, insist that these startups pay a fixed price per article. It's great if they have found a way to get people to read more things, but if people read 10 articles instead of 2, as a publisher, you should get paid for 10 articles. This is how it works in every other industry because it's the only model that makes sense. And it's how it should work in the media industry. GDPR is now only a few days away, and last week I published an article about what I did to get ready here on this site. Unlike many other companies, I decided to go crazy with it and completely reengineer how my site works. So in this very long (43 pages) article, I will take you through all the steps, the decisions, and the thinking that I went through to create a site with no trackers by default. If you have been following me on Twitter, you will have seen me talking a lot about analytics and bots, and how this is dramatically skewing your data. Bots are not a new thing, and most sites only have a small problem with them. For instance, if you are just running a Wordpress site and using Google Analytics, almost all the bot traffic is automatically filtered out. The real problem is when you start to build up your own 'data studios', like what we now see with many of the larger publishing companies. As soon you move your data in-house, you also have a much bigger problem with bots. Being aware of this and taking active steps to filter this out is much more complicated than you might think. In this article I explain the problem with bots and talk you through the practical steps you need to take to get useful data from real people.